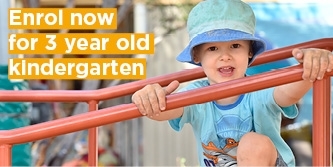 At Keilor Downs Kindergarten your child will make friends, be creative, learn new things, improve skills and develop a love of learning. 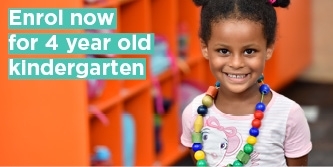 We strive to nurture each child’s unique qualities and potential. Above all, we allow children time to learn, time to play and time to enjoy! Our learning programs are based on the concept that play can take many forms: modelling, imitating, observing, experiencing, discovering, exploring, experimenting, problem-solving and contemplating. Play-based learning is the foundation of our learning programs. Play helps children understand the world around them by ‘playing out’ what they have seen in the real world. This interactive environment is responsive to both the children’s needs and interests and gives each child a chance to communicate with each other in a comfortable environment. This also facilitates the development of important social skills including cooperation, sharing, and awareness. Our educators take each child’s developmental level into consideration as we plan our learning experiences. We acknowledge parents are a child’s primary role models and educators and we place a high value on families participating in their child's education. Keilor Downs Kindergarten has been rated as Exceeding National Quality Standard. Information about the National Quality Standard. We understand the importance of physical activity, whuch is why our kindergarten provides plenty of outdoor experiences. Our large grassy area is perfect for running, exploring and active games. Indoors, we have flexible intimate spaces where children can play alone or in small groups.